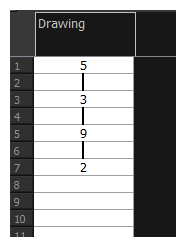 Right-click on the selection and select Exposure > Fill Cells Randomly. 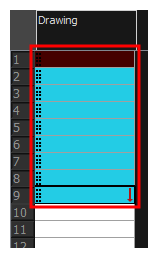 In the Xsheet view, click the Fill Cells Randomly button. 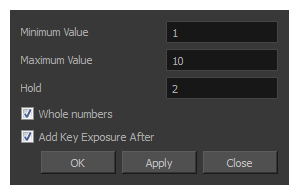 Note that you may have to add this button to your toolbar by right-clicking on it and selecting Customize.